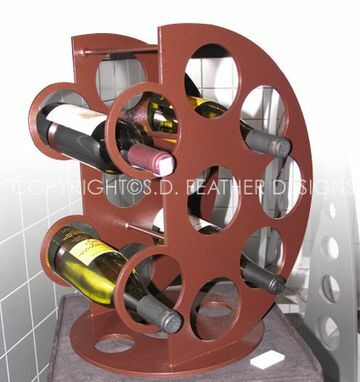 Custom steel wine rack, textured bronze powder coat. Holds nine bottles. Compact design makes it perfect for counter or table top.